The trio is joined by Robyn from "Black Girls Create" to look at the rise and fall of Lt. Cmdr. Airiam. What questions does this episode raise about our favorite augmented human crewmember? We also examine sibling relationships, some needed self-reflection for Burnham, and Spock/Stamets fanfic. 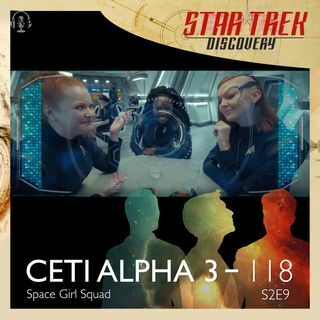 They also look at the dichotomy about Section 31 and Star Trek moralism - as well as casting the "Space Girls." What was your favorite part of ... See More "Project Daedalus"?